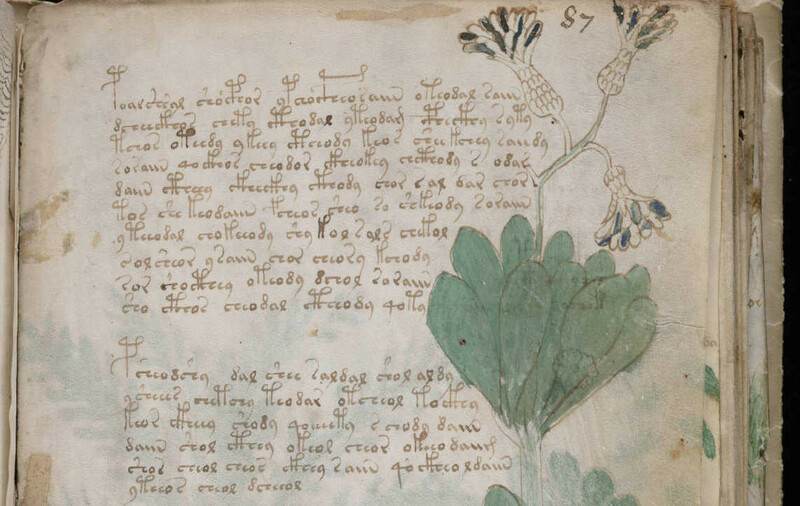 In 1912, bookseller Wilfrid Voynich discovered an illustrated manuscript that was written in a mysterious alphabet that had never been seen before. The text bears the hallmarks of natural language, but no one has ever been able to determine its meaning. 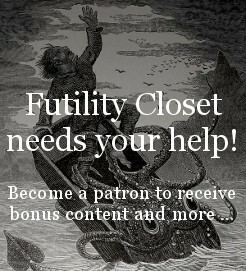 In this week’s episode of the Futility Closet podcast we’ll learn about the Voynich manuscript, which has been bewildering scholars for more than a century. We’ll also ponder some parliamentary hostages and puzzle over a tormenting acquisition. 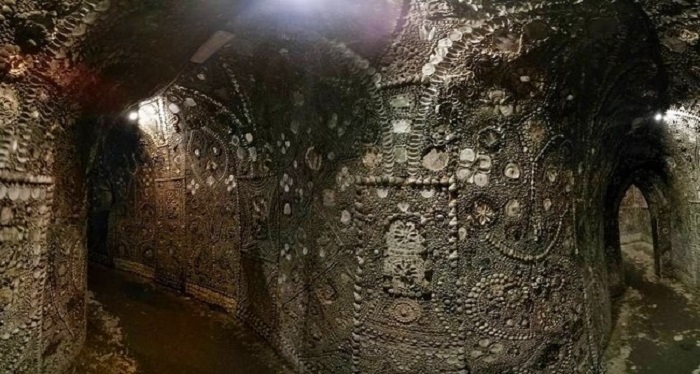 In the chalky soil under the English seaside town of Margate, someone has hewn an artificial cave and lined it with millions of seashells. No one knows who, when, or why — the popular story is that a laborer was digging in a field in 1835 when his spade disappeared into a void. Alerted to this mystery, James Newlove, the master of the nearby Dane House School, lowered his son Joshua into the darkness bearing a candle. 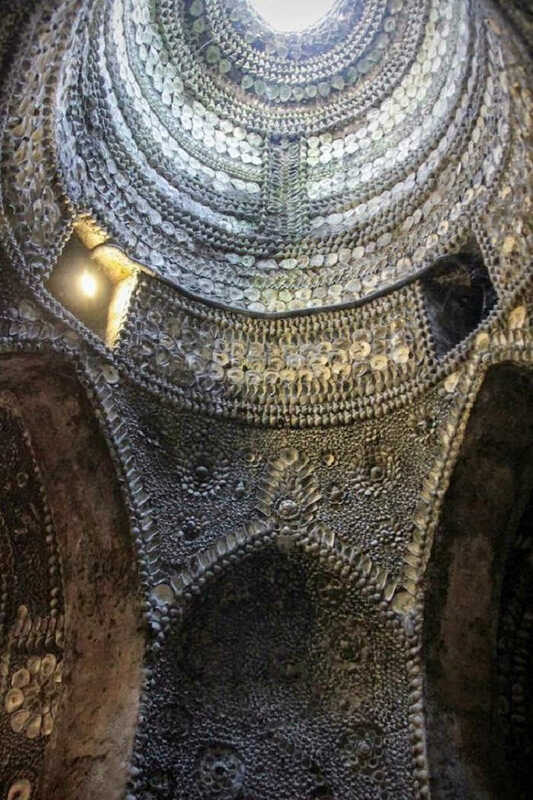 Joshua would have found himself in a domed rotunda lined with shells, beyond which a winding passageway leads to a rectangular chamber of uncertain purpose. Newlove later purchased the land, installed gas lighting, and opened them to the public. Even then the origins of the grotto were a mystery — and, as no scientific dating has been undertaken, we still don’t know when it was created. R.F. 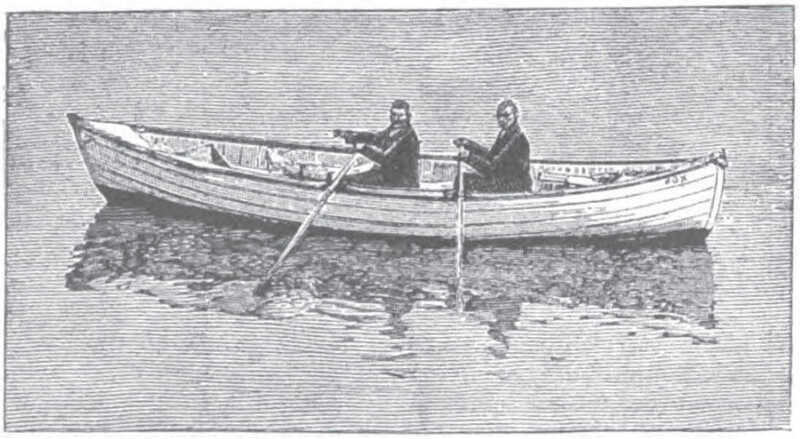 LeGear, who made an assessment for the Kent Archaeological Society, wrote, “Whoever commissioned and/or planned the elaborate designs for the shell panels must have been a well educated person who managed to entwine many different themes into the intricate patterns of literally millions of shells.” He suspects that a medieval denehole, or chalk-mining shaft, was reworked and expanded in the 17th or 18th century. (c) and for every portion of any such period of 3 months over and above every complete period. You are requested to answer the following questions, in reference to a Postal Order for 10/- (on which the ‘original poundage’ would be 1d.) issued during the month of January, so that the 1st ‘period’ would consist of the months February, March, April; the 2nd would consist of the months May, June, July; and the 3rd would consist of the months August, September, October. (1) Supposing the Rule to consist of clause (a) only, on what day would a ‘Commission’ begin to be chargeable? (2) What would be its amount? (3) Supposing the Rule to consist of clauses (a) and (b), on what day would the lowest ‘Commission’ begin to be chargeable? (4) What would be its amount? (5) On what day would a larger ‘Commission’ (being the sum of 2 ‘Commissions’) begin to be chargeable? (6) What would be its amount? (7) On what day would a yet larger ‘Commission’ begin to be chargeable? (8) What would be its amount? (9) Taking the Rule as consisting of all 3 clauses, in which of the above-named 3 ‘periods’ does clause (c) first begin to take effect? (10) Which day, of any ‘period,’ is the earliest on which it can be said that a ‘portion’ of the ‘period’ has elapsed? (11) On what day would the lowest ‘Commission’ begin to be chargeable? (12) What would be its amount? (13) On what day would a larger ‘Commission’ begin to be chargeable? (14) What would be its amount? (15) On what day would a yet larger ‘Commission’ begin to be chargeable? (16) What would be its amount? The trouble, as I read it, is that clause (c) is ambiguous. 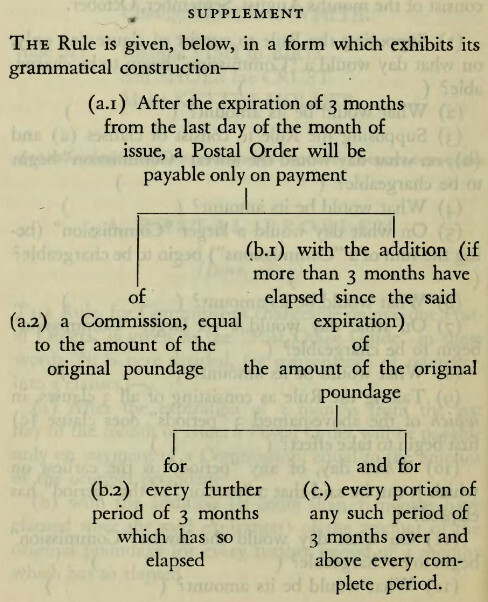 Presumably the postal authorities intended the general rule to be that a patron had three months to redeem a postal order, and beyond this would be charged a commission (here, 1 penny) for every three months that had elapsed since the deadline — including the last such period, which would not be prorated. Unfortunately, the phrase “every complete period” means exactly that — it refers to every completed period on the calendar. This sets the clock going twice as fast as intended. Our patron should owe 1d on May 1, 2d on August 1, and 3d on November 1. But with clause (c) worded as it is, she’ll owe 1d on May 1, 4d on August 1, and 6d on November 1. The final effect is that, beyond the first period, postal patrons who follow these rules will pay twice the intended commission. I don’t know whether the post office ever learned about this. I imagine most patrons trusted them to do the math, and no one but Carroll recognized the ambiguity. Between 1937 and 1939, Nazi Germany built a colossal beach resort on the island of Rügen in the Baltic Sea. Its scale was enormous: Meant to host 20,000 holiday-makers at a time in shifts of 10 days, the six-story edifice of 10,000 double rooms stretches for 4.5 kilometers, requiring almost an hour to walk its length. At the end of the war seven of a planned eight blocks and part of a main square had been completed. Since then it’s housed small-scale projects, including a youth and a family hostel, a skating hall, a theatre, workshops, museums, art galleries, secondhand shops, and a disco. Today five of the blocks have been developed as apartments and a new hostel, while the remaining three lie in ruins. 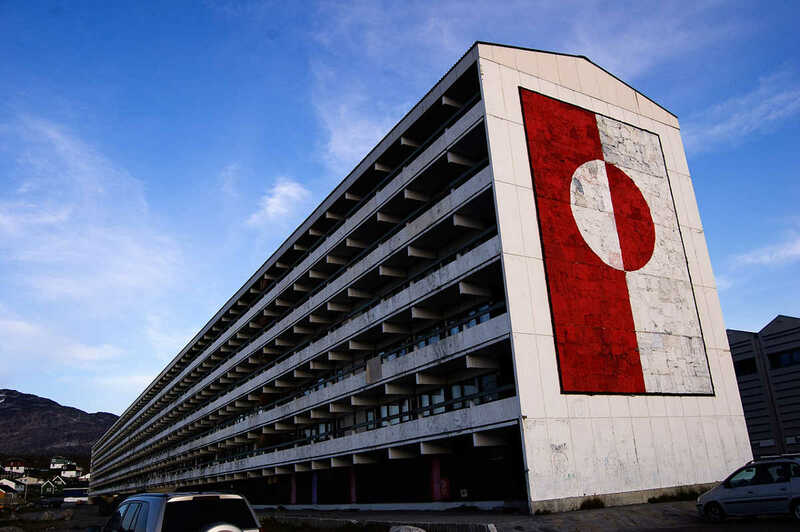 Until four years ago, fully 1 percent of Greenland’s population was housed in a single building, Blok P. Erected in the 1960s, it was five stories high and stretched 200 meters, the largest construction project in the Kingdom of Denmark, with one end boasting the world’s largest flag of Greenland. 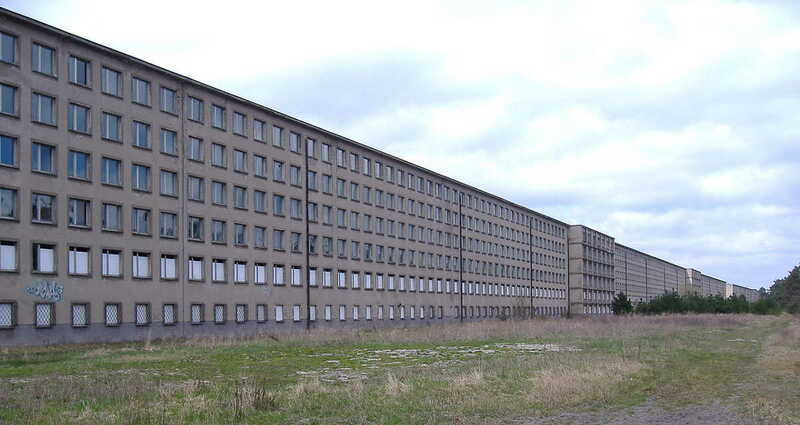 But its poor design made the building a difficult and depressing home for its residents, and it was demolished in 2012. Before the Turkish invasion of Cyprus in 1974, the tourist district of Varosha was the nation’s premier vacation destination, with high-rise hotels, shopping centers, restaurants, and nightclubs. With the invasion, the entire population of 39,000 fled, leaving behind an opulent ghost town. Since then it’s been fenced off, accessible only by the Turkish military and United Nations personnel. Negotiations continue, but after 40 years of mounting disrepair it’s not clear how much of it might still be salvaged. Tom has a crystal ball that shows him the future. One day it shows him a bomb going off in the city. He alerts the authorities, who disable the bomb, saving millions of people. Tom is glad, but he wonders: How can this outcome be logically consistent with the future that the crystal ball had shown him? In that future he saw millions of people die, but in this future they’re still alive. He realizes that when he contacted the authorities the timeline must have split in two. In the original timeline, the bomb went off just as the crystal ball had foretold, and the city’s population did die. But in this new timeline, the authorities defused the bomb and everyone lived. This is an excerpt from Kaikhosru Sorabji’s Opus Clavicembalisticum of 1930. The snaky line running through it is a slur (!) encompassing the whole complex passage. More at Byrd’s Gallery of Interesting Music Notation. A poor artist is visited by a time traveler from the future. The traveler is an art critic who has seen the artist’s work and is convinced that he’s one of the greatest painters of his time. In looking at the artist’s current paintings, the critic realizes that the artist hasn’t yet reached the zenith of his ability. He gives him some reproductions of his later work and then returns to the future. 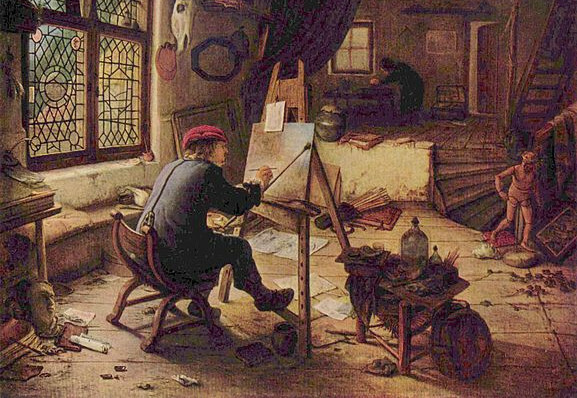 The artist spends the rest of his life copying these reproductions onto canvas, securing his reputation. What is the problem here? 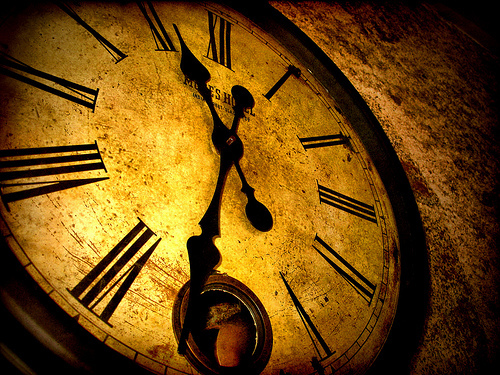 Kurt Gödel showed in 1949 that time travel might be physically possible, and there’s no contradiction involved in the critic arriving in the artist’s garret, giving him the reproductions, and later admiring the painter’s copies of them — that loop might simply exist in the fabric of time. 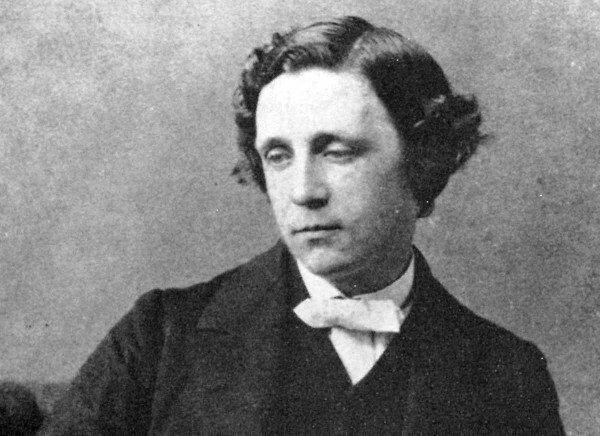 The end in poker is not to gain money, nor in golf simply to get a ball into a hole, but to do these things in prescribed (or, perhaps more accurately, not to do them in proscribed) ways: that is, to do them only in accordance with rules. Rules in games thus seem to be in some sense inseparable from ends. 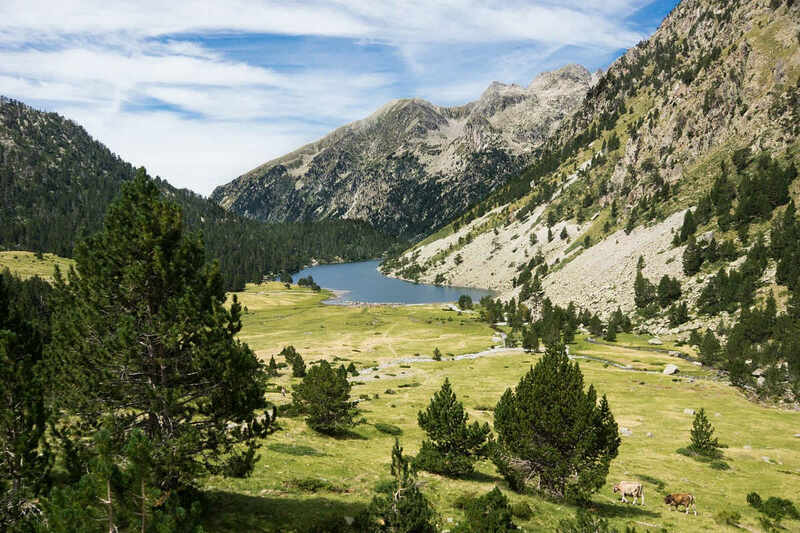 … If the rules are broken, the original end becomes impossible of attainment, since one cannot (really) win the game unless he plays it, and one cannot (really) play the game unless he obeys the rules of the game. We’ll also meet some military mammals and puzzle over a thwarted burglar.